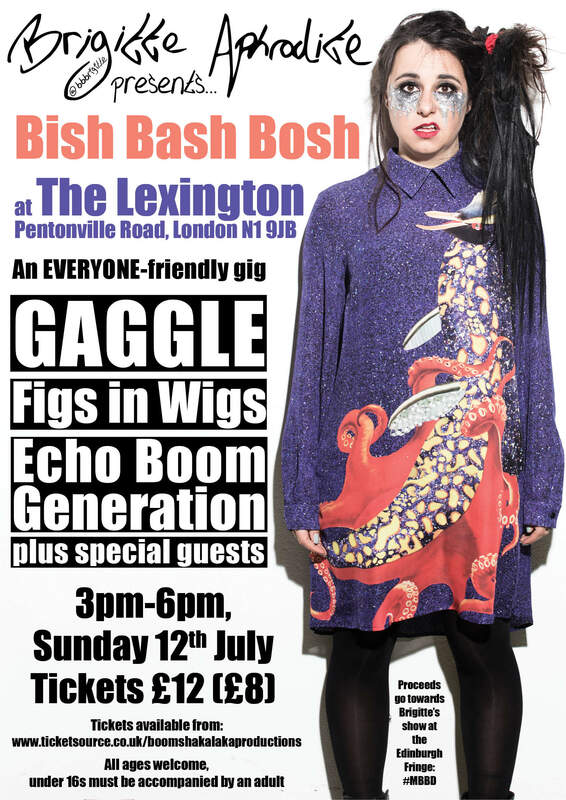 Join Brigitte Aphrodite as she introduces a host of fantastic acts in an afternoon of festival-feel fun for all the family at The Lexington, Islington. Gaggle - an award-winning radical girl group and the world's best gang. Figs in Wigs - an all female, five strong performance company who make a unique mix of theatre, dance and comedy. Echo Boom Generation - a loud & trippy conspiracy between Classic Rock and the Grunge Era. Brigitte Aphrodite - a punk poet, musician, theatre maker and feminist showgirl. Brigitte Aphrodite's Bish Bash Bosh is raising money for her show, My Beautiful Black Dog, to go to the Edinburgh Fringe.